Scroll Down to Shop by Category. 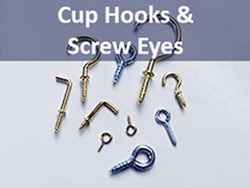 Worldwide Shipping Starts at $4 on DIY Supplies for Hobbyists or Professionals. Guaranteed Quality, Top Shelf Service. Fair Pricing - Volume Discounts - Save Today! 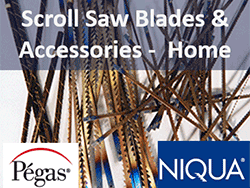 & Woodworker Supplies. 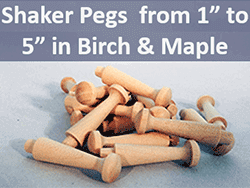 Most are USA Made! 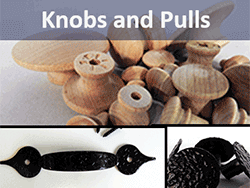 Shop for Woodworker Supplies, Clock Parts, Picture Hanging Hardware & Wood Craft Shapes. Trusted for over 30 years. 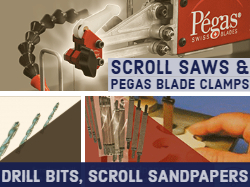 We are pleased to serve thousands of schools, hobbyists and professionals with top quality wooden dowels, wood craft parts, and the very best scroll saw blades. 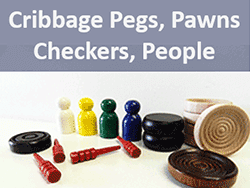 Shop by category below, or use the menu at the top of every page to browse the site. There's also a great search bar on the top of every page. Shipping is by weight and destination. 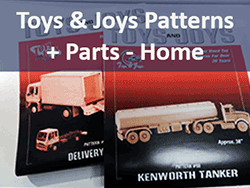 To see shipping rates, go to checkout/shopping cart. 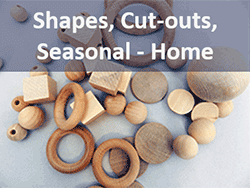 » Wooden Ball knobs up to 3"
» Spring Shapes - Flower Pots, Fruit, Eggs and More! 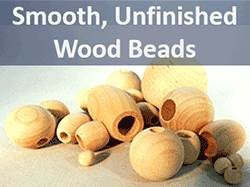 » Maple Wooden Toss Rings up to 3"
» Oval Shaped Wooden Beads up to 2"
Unfinished birch or maple hardwood. 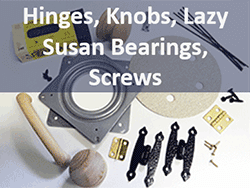 We are a reliable, quality choice for woodworking parts and clock movements. 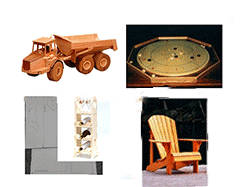 Bear Woods Supply has become a leader in wood parts and clock parts supply since 1987. 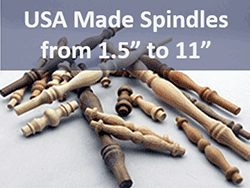 With a focus on USA Made products and by making wholesale pricing available to everyone, we offer quality service and superior products. 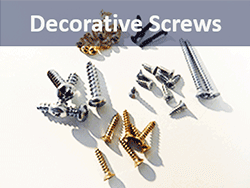 We understand that in order to complete a project, most people need their products as soon as possible. That's why at Bear Woods Supply, we ship 99% of orders within 1 business day of receiving your request. If we don't have something in stock, we'll let you know immediately! 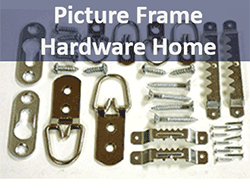 If you need to buy in bulk, we can help! 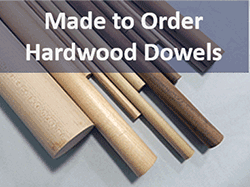 Bear Woods Supply offers quantity discounts, perfect for the company or school doing a large-scale project! 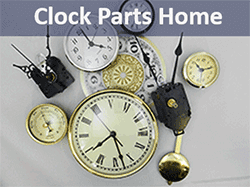 Most of our clock parts and wood craft supplies feature volume discounts and wholesale pricing. 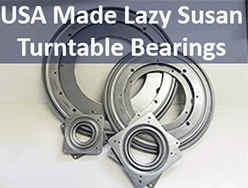 If you need a quantity you don't see, contact us and we can assist you further. 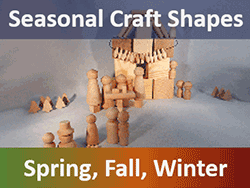 Our minimum woodcraft supply order is only $8. 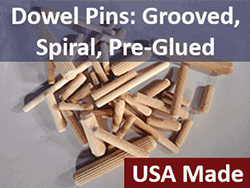 Bear Woods Supply is also the best choice for hard to find products like dowel pins, maple wood plugs and oak spindles. 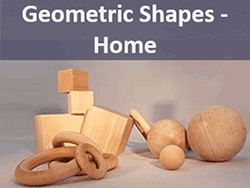 We supply more than 2,500 woodworking supplies and parts, wood craft supplies, wooden toy parts, picture hanging hardware, and clock parts. 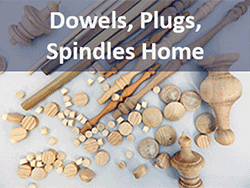 We also have more than 1,000 items available by special order - including wood dowel rods, plugs, and spindles in a variety of wood species and sizes. So if you don't see it, just ask! 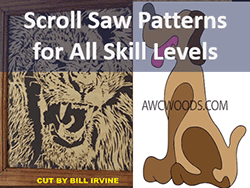 Bear Woods is here for the community and all of your woodworking supplies. 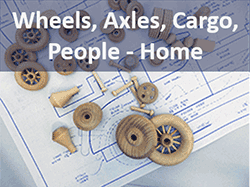 If you have any questions about our products or discounts, feel free to contact us anytime!